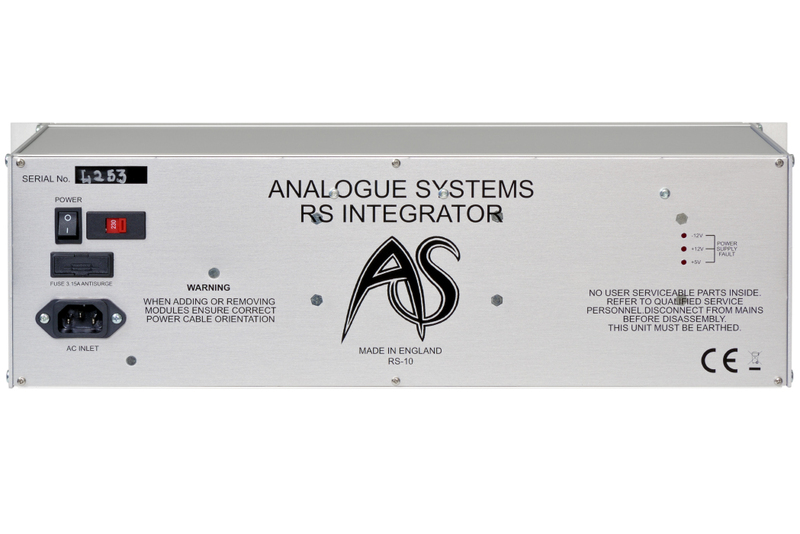 Price only valid for rack (including power supply) without modules. 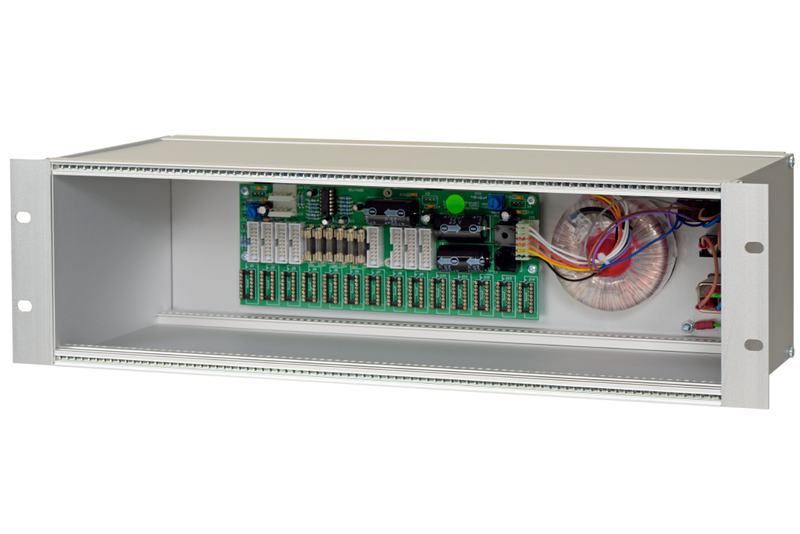 19" 3U rack-mount case for Eurorack modules. 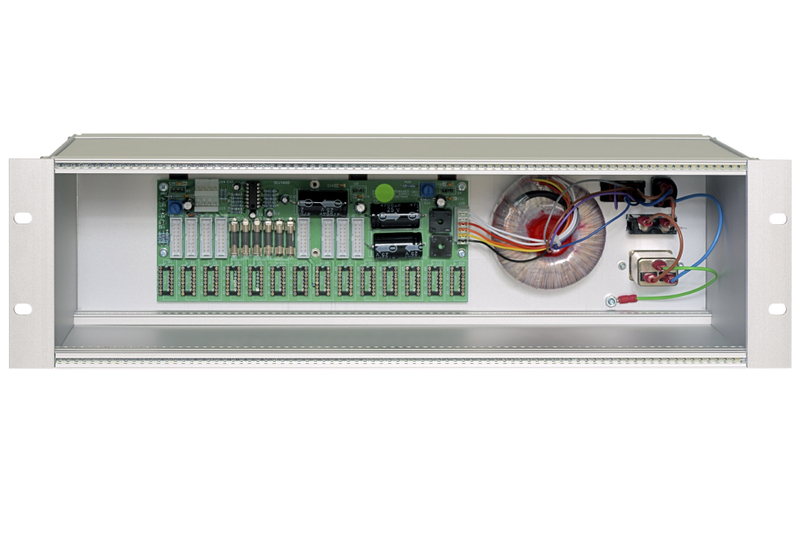 The powerful power supply provides you with 1500mA per rail. In addition the power supply generates a 5V voltage, necessary for example for Analogue Systems´ modules with digital circuitry. The power supply offers 1500mA current per rail, that means 1500mA for +12V and 1500mA for -12V and it also generates a 5V voltage. It can run on 115V or 230, you just need to set the switch on the rear correctly.Generaly the power supply is constructed very properly and in addition to the mains fuse (3.15A) there are six fuses for the secondary voltages 12V, -12V and 5V on the circuit board. 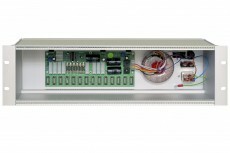 Besides 14 power connectors for Analogue Systems modules that have a special connector, the power distribution board also has eight connectors for Eurorack modules. Unlike other Eurorack cases Analogue Systems use module screws and mounting strips with 2.5mm threads. The special 2.5mm screws are supplied with the case.